Addressing health care’s most pressing challenges can feel overwhelming. 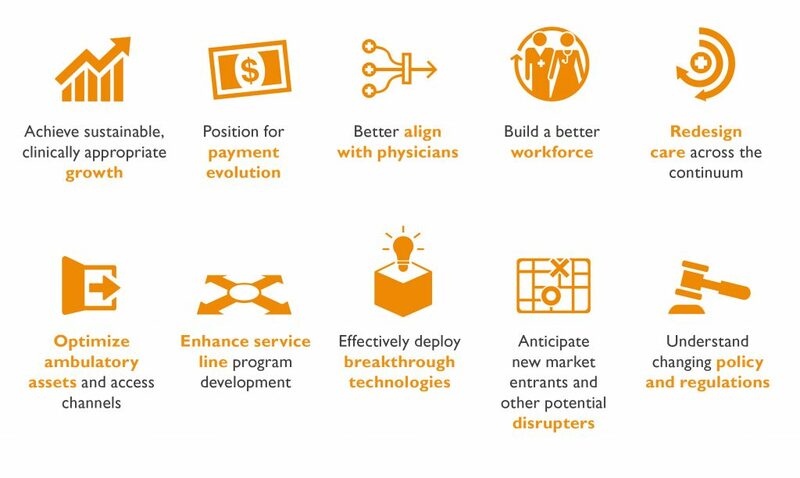 Whether you’re looking to manage margins, build your care continuum, plan your service line portfolio, create the right partnerships or make smart technology decisions, the leap from planning to execution presents a challenge for many hospitals and health systems. That’s where Sg2 comes in. An Sg2 membership includes Sg2 Intelligence—a set of directions to help you transform information into action. By looking beyond yesterday’s best practices and today’s buzzwords, Sg2 Intelligence gives you the guidance you need to prioritize and execute a plan that fits your organization’s unique needs today and in the future. With your membership you’ll receive on-demand access to an extensive library of resources aimed at making your work easier, along with recommendations that are thoroughly researched and completely unbiased. Sg2’s experts take the time to explore your biggest challenges from all perspectives—clinical, operational, financial and market dynamics—before charting a path that considers the needs of everyone from CEO to service line director. Industry-leading expertise, comparative data from Sg2 Analytics and real-world examples will help you bring new strategies to life. Each year Sg2 sets and delivers our research agenda covering a range of future-focused strategic planning, performance and technology issues as well as current industry trends and potential market disrupters that we consistently track. Topics are selected based on member needs and requests as collected through surveys, focus groups and client conversations, along with topics recommended by our Sg2 experts, ensuring coverage of important issues that may not yet be mainstream.